I love long luscious lashes problem is, my lashes are far from long and luscious. My lashes are actually really short, I was not blessed with pretty lashes (sigh). I've tried everything under the sun to get my dream lashes. Eyelash extensions, which have pretty much all been nightmare stories! I can't even tell you the amount of times I've had swollen eyes from the procedure or how many of my natural lashes I lost. Then it took me months to grow back and have my own lashes back. I love eyelash strips and for a while I have been resorting to them. Once summer rolls around, I can't wear them as much, since we are always in the pool or going to the beach and lets be honest the hassle of putting them on everyday is not fun. So I ditched my strips and felt so bare, but after all it's summer. For a while, I was hoping there was something out there that could help enhance my natural lashes and what better time to start than summer. I was so excited to try out Avon's Anew Clinical Unlimited Lashes Serum and Love At 1st Lash Mascara. I started using this lash serum two months ago. I worked it into my nighttime routine after cleaning and moisturizing my face I apply the serum. This peptide blend and botanicals is designed to naturally enhance your lashes. The serum comes in an applicator resembling a liquid eyeliner applicator. You then apply on the lid where your lashes meet you lid, an easy step to getting fuller, thicker, longer looking lashes. 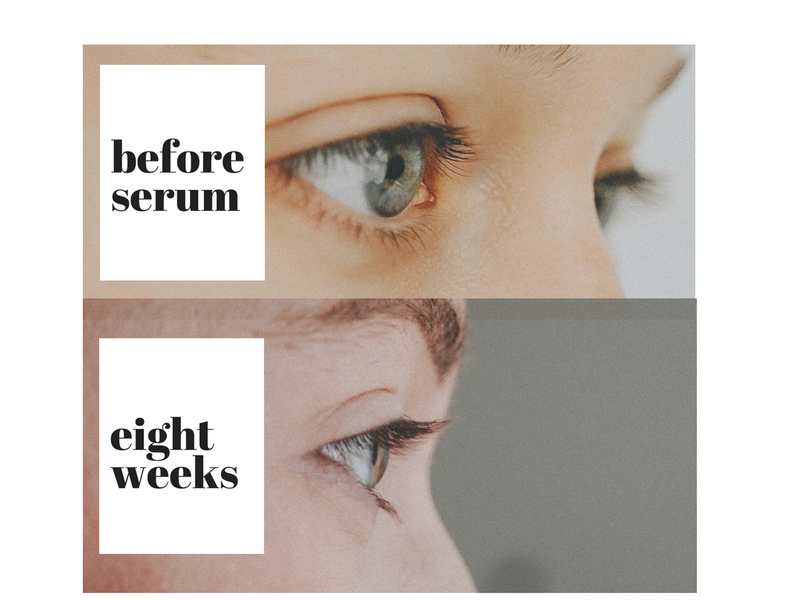 At the end of the eight weeks, I noticed my lashes appeared fuller, Take a look for yourself at my before and after. I've had a really hard time with mascaras, which is probably the reason why I resorted to eyelash extensions and strips. The problem with my eyelashes is that I have no curl to them, they are really short and straight. I've tried so many different types of mascaras and none of them added length and curl . Since trying the AVON True Color Love At 1st Lash Mascara, I now swear by it! I can't believe how amazing this mascara makes my lashes look ! This mascara is a blend of lycopene, olive oil and vitamin E which helps strengthen and condition lashes. The heart shaped fibers lock on to lashes and help build on each other, creating a light weight, long lash. Take a look at the before and after with the mascara.